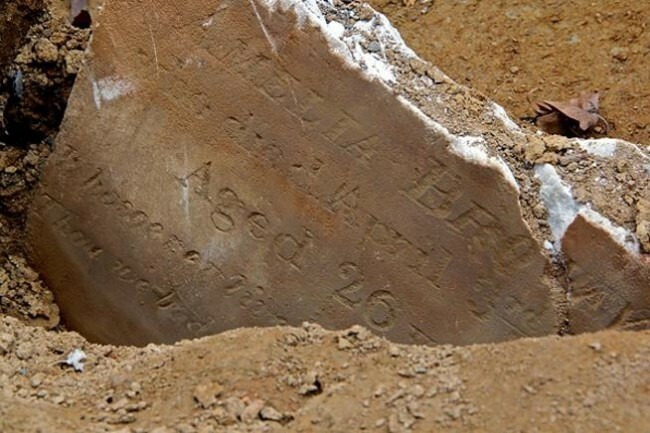 Nancy Moses, 50 years old, died this date, April 18th, in 1849 of “disease of the Lungs” and was buried at Bethel Burying Ground. Ms. Moses lived with her husband, Ezekiel, next to Bethel Burying Ground on Cobb Street (now Lawrence Street). She took in washing and ironing while Ezekiel earned a living working as a seaman for $20 per month according to the 1847 African American Census. The rent for their rooms was $90 a year. City directories reveal that as early as 1841 the family lived on the little alley street that abutted the graveyard. In addition to her spouse, Nancy also left behind two daughters Anna (18 y/o) and Mary (17 y/o). 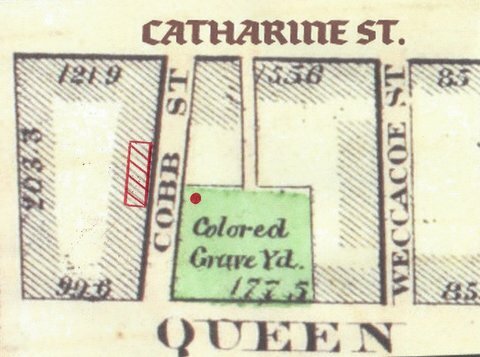 The Moses family home is represented in this 1862 map by the red striated rectangle and Bethel Burying Ground by the red circle. Black families living on the surrounding streets of the graveyard were very rare until after the American Civil War. Could Ezekiel and Nancy Moses been some sort of caretakers for graveyard? Hopefully, further research will determine that one way or the other.